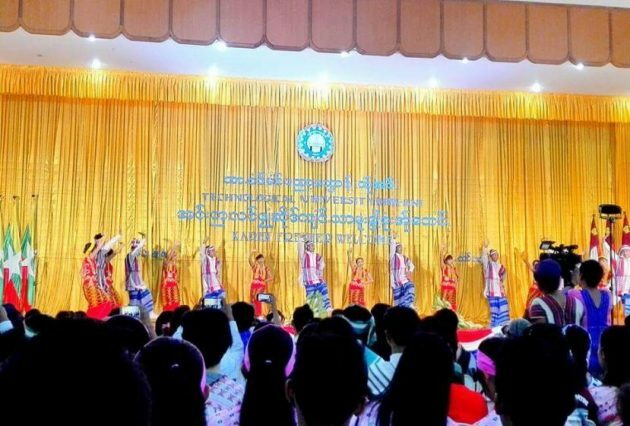 In effort to bolster Karen traditions, the Mon State government has donated dance costumes and instruments to five universities, an official said. The Karen literature and culture committees at Mawlamyine University, Mon State’s Technological University, the University of Computer Studies, the Government Technical Institute and the Agriculture Institute each received K1.5million-worth of Karen costumes and traditional musical instruments, according to Saw Aung Myint Khine, Mon State’s Karen Affairs Minister. The K7.5 million was allotted from the state government’s budget he said. The Mon State government has also provided K15 million for a Karen New Year’s Day ceremony, K60 million for the Karen Literature and Culture Committees’ graduation ceremonies and K16 million for a traditional Karen wrist-tying ceremony.